Sagi Shrieber is founder of Mindful & Ruthless, a weekly podcast & community for lifestyle-driven new-world entrepreneurs. 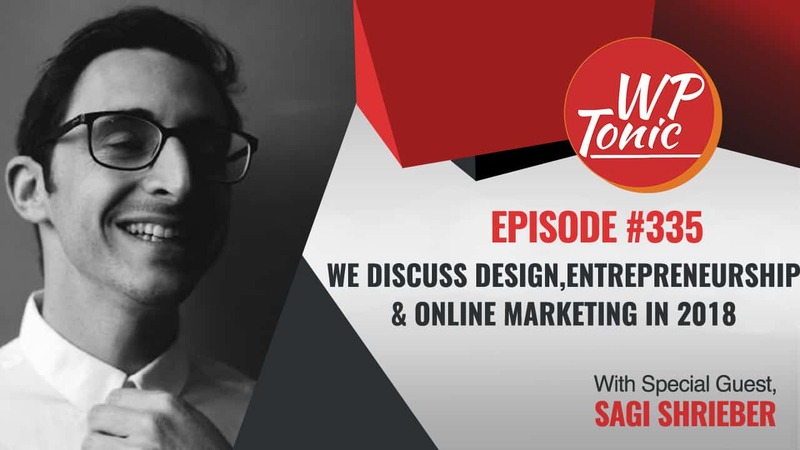 Sagi is a User Experience Designer and Entrepreneur. He is the founder of Mindful & Ruthless, a weekly podcast & community for lifestyle-driven new-world entrepreneurs. Sagi also now works with some top entrepreneurs, boosting their digital designs & brand to the next level. He has one hell of a story too, coming from a failing business and debt to building a vision and crushing his goals, and just recently was also featured on SPI by Pat Flynn. Mindful & Ruthless, a weekly podcast & community for lifestyle-driven new-world entrepreneurs. Jonathan: Welcome back folks to the WP-Tonic Show. It’s episode 335. That’s right folks, 335 episodes of this and you’ve stuck with me, my blessed audience. And we’ve got a great guest here. We’ve got Sagi Shrieber. Sagi, would you like to quickly introduce yourself to the listeners and viewers? Sagi: Yeah, sure. So, thank you so much for having me guys. I am a designer and entrepreneur, originally from Israel. Right now, specifically, I’m at Columbus, Ohio about to attend the Summit of Greatness by Lewis Howes. So, I’m here in the US and it’s really fun. Originally from Israel. I have a blog, I have, actually, a couple of them and that’s what we’re probably going to talk about. Jonathan: That’s great. And I’ve got my great co-host, Cindy Nicholson. Would you like to introduce yourself quickly Cindy? Cindy: Sure. Hello everyone. It’s Cindy Nicholson from TheCourseWhisperer.com and I help entrepreneurs that want to create awesome online courses. Jonathan: And before we go into our great conversation with Sagi, I want to mention one of our great sponsors and that’s WP Fusion. And what is WP Fusion? Well, it enables your two major powerhouses of your tech stack, i.e. your WordPress website which you should be using for your membership site and your CRM. And basically, it enables you to communicate really easy with almost 40 different CRM systems with your WordPress website. And if you’ve got a membership site or an E-commerce site, you can do amazing things with automating all your emails, engagement, it just does a host of different things, which I would have to spend too long explaining. You basically need to go to their website and learn a lot more. And also, they offer us a unique deal. And basically, if you go to their website, WP Fusion and you use the coupon code WPTONIC, all uppercase one word, you’ll get 25 percent off any of their packages and that’s only for the WP-Tonic listeners and viewers and you’ll find links and more information on the WP-Tonic website. So Sagi, as you mentioned in previous interviews that I’ve listened, you’re a designer, a very good one, but you got into a little bit of difficulties. Maybe you can describe what happened and how you got out of those difficulties. What do you think Sagi? Is that a good start for the conversation? Sagi: Sure, sure. Yeah. The difficulties were led by decisions that I made. We all make our own problems. But just going back, I came up as a designer. I came up as a designer. I always had this kind of like, I was usually independent. I had startups on my own. If you know Fiverr.com, I was the first designer at Fiverr.com. And we said, “Okay. That might work because if we made 66K, then maybe if we leave and do it full-time, we’ll make 200K.” That’s a salary for two people. So, we did that. We left our day jobs. We kept on going. We had a podcast. We had a newsletter. We interviewed amazing people like the founder of WordPress. We interviewed Matt Mullenweg. We interviewed amazing entrepreneurs, amazing designers, creative directors from Airbnb, Facebook. We had a lot of great content going on, but the cash flow was a problem. That was the time when we launched our first online course. That was my first online course. As soon as I left my day job, I launched my first online course and I called it the Side Project Accelerator. It was an online program. We built it on top of WordPress. It was like basically teaching people how to build their side project while having a day job because that’s what we did and we left our day job. So we said it might be a great inspiration for others and we can teach others how to do that as well. And that was okay. But again, it didn’t bring in enough money for both of us, especially me. I was a father, two kids, a mortgage. I had no savings when I left my day job because I just bought an apartment the year before and wife was not working, another decision that we made at the time. I found myself like at one point, like my partner and I, we took the business to different directions and in order to keep my business, we were like in 6 months of not making any money. Jonathan: I just want to ask a quick follow through question here before Cindy asks her question. You know, it was profitable. You had a partner and it was doing 60. What led to those 6 months where you were saying you weren’t making any money? Was it that you fell out with your partner or was there some external reason that suddenly hit that revenue generation? Sagi: Yeah. So, first of all, 66K divided by 2 is 33 and I cannot live on 33 a year. That’s not what I can do. At the beginning, we had money since this was our side project. But once it was full-time, we had no salary, income coming in. We started having problems and we wasted that money and we also tried to focus in different directions. Launching that online course, launching a course takes time. You guys know. We didn’t know. We were like, “Let’s launch on online course.” We didn’t know it was going to take us 2 months to prepare the launch. And then when we launched, it’s going to take us another 2 months to put together all the classes, script it out and then record it all and then edit and then push it and then have the sessions with our people. It took a lot of time. We couldn’t focus on anything else. And then, at the time, we were like, there was this kind of idea, where to take our business and it’s something that my partner worked on. I kept working on the content. He started working on something, it’s like a mix of software and service for companies. And that just didn’t go well, at least at the beginning. We made nothing. We brought in also a salesman. We had to pay him as well. Things were looking well for a business that’s bootstrap. But it was looking well for a business that’s bootstrap that maybe in 2 years will be profitable. I didn’t have that time. Jonathan: I got the picture. Thanks for that Sagi. Cindy, you’ve got your question? Cindy: So, I’m assuming you’ll let us know how you turned things around. I always am amazed by these stories where people struggle, as you say, two kids, no other income. How do you mentally keep going? What was that whole mental process to keep you from just going back to your other job? Like how did you keep going is really what I’m wondering? Sagi: I think that’s a great question and thank you for asking that. This is something that not a lot of people understand. A lot of people that want to make a major leap in their lives, they look at the risks and they’re like, “Oh my God. There’s so much risk.” And something that I look at and also talking with a lot of amazing entrepreneurs I see they look at as well is like, what’s your safety net and what’s the worst case scenario? We tend to think that if we go broke, we’ll probably end up in the street, with no money, with no apartment and that’s not really true. I mean, in our Western world, you know, like I’m in Israel, it’s kind of like the US in terms of like laws and stuff like that. I mean, it doesn’t work that way. Where else can a young family be with one parent not working and the other one an entrepreneur looking for himself. It’s a privilege in a way and I was saying, “Okay. I know the situation is bad but I’m committed to my success with this. I just didn’t have a plan to carry out on.” The thing is that, I said, “I can always go back to have my day job. I was in my prime. A very successful designer, with the background of directing design out of a company with 350 employees. I raised a team of 7 people. I’ve really made a lot of progress.” So, I knew that almost any company would want to work with me if I want to go back to being an employee. So my safety net was that. I would say, “I’ll just get a day job, worst case scenario.” Taking that loan was a big risk as well. We didn’t take the loan on the business. It’s like personal matters. He had his money. He was good. I was not good. So I had to take the loan myself. And I was like, “I’m committed to this. I want to be a good partner and I want to be a real entrepreneur. Real entrepreneurs go all the way.” That was the kind of feeling I had and that was what was portrayed by the surroundings. Israeli startup nation. Startups fail all the time. I didn’t want mine to fail. I was like, “I know I can make it. I know I can build a successful business.” I said, “Okay. I’m taking this loan. Worse comes to worse, I know I’m going to waste this loan in 3 months.” I knew it. I knew it was going to only last for me for 3 months and if I don’t make any income by then, I need to stop everything and reconsider what’s my next move. Cindy: Yeah. No, it’s true. And knowing that you have the skill set, a marketable skill set kind of gives you that peace of mind as well, meaning that you can go back to a job sort of thing if it doesn’t go through for you. Jonathan: That’s great. We’re going to go for our break folks and when we come back, we’ll be continuing this great discussion. We’ll be back in a few moments folks. Jonathan: We’re coming back, folks. We’ve had a great discussion with Sagi Shrieber. Before we go on to our second main subject which is about building community, another part of your interviews that stuck in my mind, when you got to this stage where you’ve burnt through most of your loan, is that you decided to sign up for mentorship. You got a mentor, a rather expensive mentor, which I thought was either really crazy or really unusually brave, maybe a bit of both. I don’t know. I think you said in your previous conversations it was a major turning point. Would you like to describe that out in a little bit more detail Sagi? broke down and cried for the first time in my adult life I remember. I couldn’t figure it out. After this breakdown, I said to myself, “Okay. That’s great. You’re crying. I can hear the music in the background and everything. That’s great Sagi. But what are you’re going to do about it? What’s next?” So I said, “Okay. I need to do something about it.” And I said, “I will reach out to any amazing entrepreneur that I know that can probably help me, to people that will lift me up, to people that had the same story.” So, I reached out to a couple of people. Four people, but two of them stood out. One of them is Jason Zook. He’s an amazing entrepreneur. Do you know Jason Zook? Sagi: Amazing entrepreneur, amazing person. I’m in his community Now it’s called Wandering Aimfully. It’s a paid membership site, but he doesn’t owe me anything and I just reached out to him, like, “Jason, look, I’m in really a struggle. I’m in pain. I need to know what I’m doing with my life. I don’t have any money right now. I don’t know how I’m going to make my next paycheck.” So he’s like, “Dude, let’s hop on a call.” And he gave me two sessions of 1 hour calls on Skype, like with no commitment, nothing, just like pure out of giving and he really, really helped me. He said, “Now, you have to think about it as Sagi time. It’s your time to do you. You have to do you.” And I remember that. I remember like just, “You need to leave your partner. You do everything by yourself. You need to just start over. You need a fresh, clean canvas.” And I said, “You’re right.” And I decided to leave my partner and at the same time I reached out to Calvin Wayman, who is someone I heard on JLD’s podcast, John Lee Dumas’ Entrepreneurs on Fire, which is also an amazing podcast and I listened to JLD interview Calvin Wayman, this guy telling an amazing story. That was actually a half year before. Just before I went into taking the loan and everything and started not making money. It was 6 months when I first listened to that episode and I remember just like listening to Calvin tell his story and it was so amazing about coming out of debt and he was also in debt. He got a coach. The coach got him out of debt. I’m like, “Wow.” And then, he said he has a book and the book is called Fish Out of Water. And I’m like, “Okay.” So I stopped in the middle of the road while hearing this interview with JLD. I just stopped. I downloaded the book. I bought the book and started listening to the book, Fish Out of Water. And that book is amazing and it really impacted me. And hearing again, Calvin’s story in that book just made me want to find a coach. And I reached out to Calvin and I’m like, “Calvin, I’m an online entrepreneur. There’s not a lot of of us and I’m struggling to find a coach.” And he said, “I can coach you.” That first time he told me he can coach me, he gave me the price, I was kind of shocked. My whole family and my partner told me not to go for it. That was like a half year before everything went bad and I didn’t go for it. I actually turned him down. I said no. Now, being in debt and everything, I’m like, “Okay. Now, I need to talk to Calvin again.” And I talked to him. I wasn’t even knowing that I’m going to hire him as a coach. I was just like, “Calvin, I need help and you were in my situation. Can you just give me like 1 hour? Just talk to me.” And he told me, “Listen, I can talk to you or I can coach you and get you out of this. I can help you, but you need coaching.” And he gave me the price and the price went up by double. He told me back then when I turned him down. One of the things he said was, “Listen, right now, I’m just starting out. If you reach out again, my price will probably double.” And I reached out again and his price doubled. That was crazy. I remember just saying, “Okay. I don’t have any money. I’m totally broke. I’m totally in debt, but what if I go into a little bit more debt and pay and probably that is what will help me succeed and get out of debt.” And I felt it. I felt my gut. But even back then, I felt it in my gut that this is what would help me. And that’s what I did. So, I hired him as a coach, paid him the first initial payment which also is part of the plane ticket to Israel and he came to Israel. He came from the US. He flew from the US to Israel and we had a VIP day, just like session and it really helped me build my vision. We just built a vision. He asked me like, “Hey. What do you want to do?” It’s a series of exercises that I now I do also with my clients. But it’s basically just building the vision based on kind of like a 10-year reference and then like 2 years and then 6 months. And then, by the 6 months, you go 1 month and then 1 month, you go by weeks. But the vision, in general, ends up at 6 months. Having a vision which is close to you, but still, it’s far away. So it’s like actionable. You know that whatever you’re saying right now should happen, it’s achievable in 6 months, but it’s probably stretching you. So that’s what we did. And with that vision, I started crushing it from day 1. It’s magic. It’s just like how it works. Because once you have a vision and you take action based on that vision, then things start to happen and that’s when I launched my first course. Jonathan: Thanks for that. Cindy? Cindy: Wow. That’s quite the story. Again, when it comes to money, it’s like wow. The decision to then go further in debt to ultimately achieve the goal that you’re looking for it so impressive, just so impressive. I’m always amazed by that. So, one of the things that you talk about a lot with respect to rebuilding your business is being very successful at building a community and creating an online course, you know that’s really one of the cornerstones of building and selling a successful online course. So maybe if you have a couple pieces of advice for our audience around building a community for their courses that they want to sell. Sagi: I know a lot of people listening to this or watching are wanting to launch an online course or wanting to launch a successful online course. First of all, I’ve got to say I’m not one of those people who launched 100K launches of an online course. I’m not there yet. I maybe have made close to or already 100K from my launches so far. My launch was 30K in 2 weeks for my online course and about 20K for my physical course, something like that. I already had a community for me when I was building my vision. I was asking, “Okay. I need to find a client to work with in order to get money right away and I need to launch something on my own. I need to continue that path on my own. I need to build myself out.” I said, “What am I going to do? I already have a community of Israeli designers. I have Israel’s most popular design blog. So, first of all, it’s value. It’s a value game. That’s the first thing. The value that you give out is the value that you get back and that’s in every industry, the way I see it. I also think that people work with you because you inspire them and it doesn’t matter whether you’re a service based business, you’re an online business, you’re a coach, it doesn’t matter. People work with you because you inspire them and you gave them value. So value is the most important thing that I had going on for my community most of the time. And I was like, “Okay. First of all, how I’m going to give value with this course? Not just teach them what I want, how am I actually going to help them?” So now comes the part of preparations. So what I did, so there’s something called the S method. It’s an online thing. It’s a way to ask and survey your audience to understand what they need. And I surveyed them. I just sent a survey. “Hey. What is your biggest challenge as designers right now?” And I understood their biggest challenges, their biggest fears and I understood also like where they stand kind of, like what’s their ambitions, where they stand in their career right now. So with this survey, I had some details, some raw details. You can call it like quantitative data because it’s like many people just answering a survey. But then I needed also the qualitative data. So in every part of research, you need quantitative and you need qualitative. So the qualitative data was basically just talking to my community. In every one of my weekly newsletter, I said, “If you want to book a call with me just for free advice, you can book the call with me here.” It was linked to my Calendly account. By the way, Calendly, an amazing tool to book calls. It was like to by Calendly account and my Calendly account received, it was like half hour calls with people. So every Thursday, I had 2 hours where I dedicated just to talking to my people, talking to my community. Even if it didn’t give me anything, it gave them value. So I know I know I’m giving value. It’s karma. It’s a good thing. I’m helping my community so I felt good about it. I also got a lot of knowledge about what do they need. Is what they wrote in the survey correlated with what they’re telling me over the phone? And by that, you understand another great thing. You understood the language to use when you communicated later. You understand the language you use in your landing page after that. Because if you talk to the people and you’re like starting to understand their language, you can talk their language and that will make perfect sense to anybody looking at the landing page because it’s all about communication. When you have a landing page for your online course, you need to communicate exactly to your audience like how they would love to communicate with you over a talk, over a conversation. So that’s what I did. I surveyed my audience and then I pre-launched it. I had nothing. I did not even have one lesson. I had a bullet list down and I had a landing page that I put up. The landing page wasn’t perfect and as a designer, not being perfect is very hard, but I had an imperfect landing page and I started mailing my people and saying, “Hey everybody. I’m launching a course. The first session is going to happen, it was the 25th of October 2017.” So pretty much like a year ago, the date of my first class. And that’s it. That was another like 2 months of like intensive sales call. That was like getting on the phone with people because it’s high ticket price. So, that was getting on the phone with people and basically just trying to sell them my course. Like, “Hey. This is who I am. You can benefit from this product.” And there’s other courses out there in the market so I’m competing with these other people. Like companies of courses that they do classes of UI/UX and I’m competing now with stuff that’s in the industry and everybody’s like, “Okay. So, that’s your first course, right? How do we know it’s going to be good? How do we know that you can teach? You’re good with blogging. Can you teach?” And the other competitors, of course, they played on that in their course. They’re like, “Don’t go to Sagi. He can’t teach. He can only blog.” It was massive. It was really intense. So like 2, 3 months and that’s another thing that people don’t get. If you want to launch an online course, even if it’s online, you need to know how to sell. Whether it’s low ticket or whether it’s high ticket, you need to know how to pitch. And that’s something that I kept in my mind. I listened to Grant Cardone’s, Grant Cardone’s like an author and a motivational speaker and he’s like a pretty successful entrepreneur. He wrote a book called Sell or Be Sold and that’s an amazing book. I really love it. I just listen to it all the time. It’s Sell or Be Sold. Are you selling or are you being sold to? And whatever it is in any conversation, you’ll either be selling or being sold to. For instance, with our kids, we’re always being sold something. It’s like that. I managed to succeed with getting a full class of 22 people. That was like the cap limit on any class. I managed to success to book a full class for my first batch. And then I started creating the course. Week by week I created a new lesson for the course based on the bullet points that I had down. And that’s another thing that I always go by. It’s commit first, carry out later and it worked with every online course I had. You pre-sell to understand if the market wants what you have to offer. You have to be very clear on what you’re offering. That’s why I always have bullets of my class mapped out and that’s what I can say that I’m going to teach in the landing page and it correlates with what I create, but I have no class created, no script, no presentation, nothing. So that’s what I did. I took those out and created an online course which again, had no content in it. I just pre-launched it. I created a landing page. It should have been launched by January. I didn’t stand up to my goal, but I launched it by February. 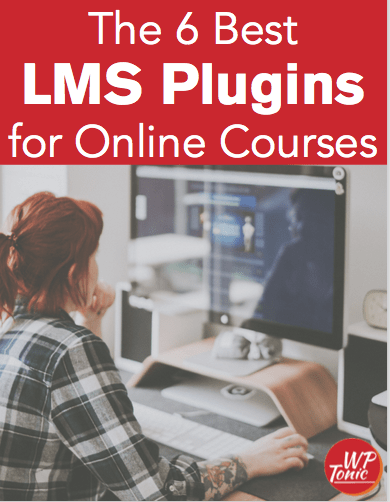 And it had pretty much the same landing page but because it was an online course and kind of like this was something that should be sold cold, when I saw cold, I mean like people get to it from an email and now they should buy it. It’s not like get on a call with me and I’ll sell you. It’s people should buy it off the bat. So I was pretty perfectionist about the landing page. That’s why I launched it in February and in January. And because it’s a course for designers, the design had to be good. So it took me time. And then, when I launched it, that was 30K in 2 weeks of sales. Jonathan: I think we’re going to have to end the podcast part of the show, but we’re going to continue the discussion with Sagi which you’ll be able to see on the WP-Tonic website and our YouTube channel. So, Sagi, how can people find out more about you and what you’re up to Sagi? Sagi: Yeah. So, right now, first of all, if you’re into design, I translated the whole course. So basically, it’s like you can find design principles.co and that’s the course right now. I would to also set up a discount for your audience and everything. We can talk about that and that would be nice. And the second thing is, I have a community of entrepreneurs, creative entrepreneurs where I teach everything that I’m doing right now and that’s called Mindful and Ruthless and that’s also my new podcast. It’s called Mindful and Ruthless. Jonathan: I love the name Sagi. Sagi: Thank you. These are the principles that basically got me out of that. Once I started being mindful, really mindful of what I’m doing and ruthless with my gut feeling, then success started to happen. So, yeah. It’s Mindful and Ruthless on Facebook. It’s a community of creative entrepreneurs wanting to be an online brand. I’m basically sharing everything that I’m doing, including even like how much I make from stuff. And also, I have a weekly podcast there where I interview amazing entrepreneurs. I interviewed Pat Flynn. I interviewed amazing people. Jonathan: And Cindy, how can people find me about you and what you’re up to Cindy? Cindy: So, if you’re thinking about putting together an online course and you’re not really sure of how to structure and put it all together, you can reach out to me at TheCourseWhisperer.com.